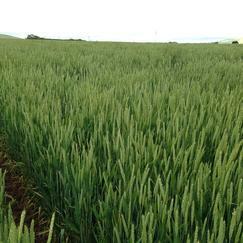 Cereals with a winter habit have a cold requirement (vernalisation) to trigger their reproduction stage. 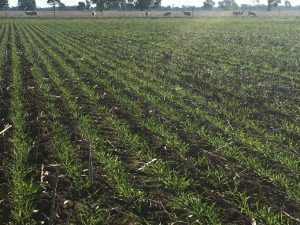 This trait helps hold maturity when early sown, enabling maximum forage production and improved plant recovery for grain production after grazing. These varieties are generally more prostrate in growth habit, higher tillering and have robust regrowth for multiple grazings. Commonly, winter cereals are planted in February to April depending on variety, moisture and disease pressure. 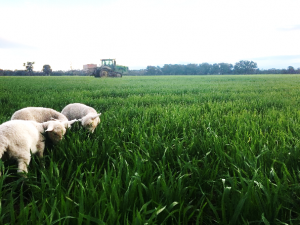 Sometimes referred to as dual purpose, these varieties have proven success of producing good grain yields after prolong periods of grazing, as they generally still flower in the optimum window to avoid frost and heat stress. The winter traits/ triggers vary from variety to variety, it is important to monitor grazed crops to ensure stock are removed prior to growth stage Z31 (when the first node can be found on the main stem). It is also important to leave a minimum residual biomass to ensure quick recovery for maximum grain yield.